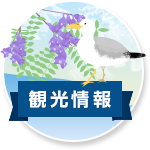 The Atami City official homepage will be translated in english, chinese, korean using a private automatic translation service. We cannot reply to any question by mail or telephone call in foreign language. 아타미 시공식홈페이지를 민간 자동 번역 서비스를 이용하여영어・중국어・한국어로 번역합니다. 일본어 이외의 메일이나 전화로의 문의에는 대응할 수 없습니다. Copyright © Atami City Official Website All rights reserved.